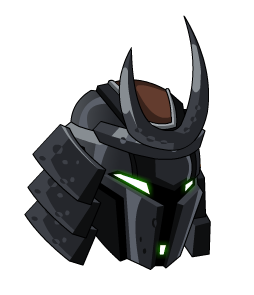 Description: This battle-worn helm of the legendary feudal Bounty Hunter. Requires completion of the J6 & L.O.S.E.Rs minigame. Roku (六) means "Six" while Kabuto (カブト) means "Helmet" in Japanese. Thanks to rivvit and Sasuke_kool1.